A quick update for the bank holiday weekend. Thank you all for your patience between updates – we are busy doing all of the boring parts of the organisation at the moment, such as booking flights and hotels for our guests, paying invoices and arranging hire of equipment. We will be letting you all know next month what you need to do to generate your tickets and select like T-shirt sizes – we know a lot of you are itching to get your tickets sorted, but we promise we will give you plenty of time to do so…stay tuned! We continue our Sonic the Comic theme with our next guest announcement! Summer of Sonic has prided itself on being a platform to showcase the talents of the community…and this year is no different! In the past we have had fantastic shorts from the likes of BoozermaN, Frobman and Sonic Paradox, and this year we would love to play more examples of fan creativity. If you have an animated short you would like to see showcased at Summer of Sonic, get in touch with us via support@summerofsonic.com. See you in June for more guest and event announcements! First off, thank you all for checking your payment details in advance of the deadline – this ended up being a little earlier than we thought, but we have not had much by way of attrition in dropped pledges – many thanks! We are expecting to receive the funds from Kickstarter any day now, which means we can begin to pay for the hire of all of the tech we need, along with arranging flights and accommodation for our guests. If your payment was dropped but you are still wanting to come to Summer of Sonic 2016, please get in touch with us by Friday, 20th of May. Today we have two more guests to announce, with a Sonic the Comic theme! 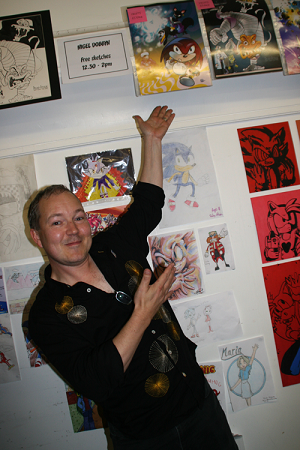 We welcome back Sonic the Comic artist Nigel Dobbyn, who once again joins the Summer of Sonic roster! Nigel is probably best known for illustrating some of the most memorable STC stories, including many of the Knuckles the Echidna story arcs. 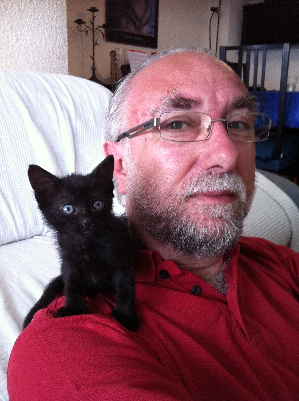 Nigel has an extensive portfolio of work outside of Sonic the Comic, including 2000AD and the Beano, and has been involved with Sonic the Comic Online – the fan-run continuation of the Sonic the Comic story. We are pleased to be able to announce the first appearance of Sonic the Comic artist Richard Elson at Summer of Sonic 2016! Richard’s art style is one of the most synonymous with Sonic the Comic, having illustrated from issue #7 all the way through to the comic’s conclusion. His career extends out into both the Marvel and 2000AD universes, as well as many other franchises such as Teenage Mutant Ninja Turtles and Toxic Crusaders to name a few. We have received a lot of messages asking about the Summer of Sonic 2016 start and closing times. We have not yet confirmed the running order of the day, but we hope to bring you more details very soon! We have continued to be extremely busy even after the end of our fundraising campaign, which ended having raised 158% of our initial target! 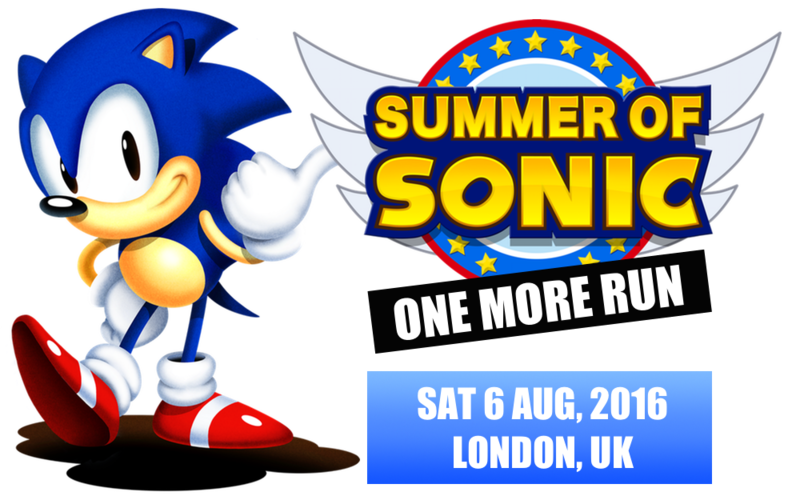 What’s more, Summer of Sonic is now completely sold out – amazing! We are still having to pinch ourselves at the success of the campaign, and would like to again thank everyone who has contributed to the cause. Event announcements: We will confirm the details of the day shortly, including opening and closing times, as well as more about the venue. We will also be announcing all of the on stage and off stage events that will be talking place at Summer of Sonic, including performances, competitions and much, much more! Complete the survey when you receive it: We aim to send out a survey in June, in which we will request details such as your email delivery address for your Summer of Sonic 2016 invitations, request the names you wish to place on your invites, and to request other details such as your preferred T-shirt sizes – we will update when we have sent these out! In the meantime, if you have any questions or queries, please consult our Q&A section on the Kickstarter page – if you can’t find the answer there, please feel free to get in touch via Kickstarter messages. We’re nearly at the end of this rollercoaster Kickstarter journey! It’s hard to believe how far we have all come in the space of a few weeks – not only has the Sonic the Hedgehog community come together to help us hit our target, but together we have managed to absolutely smash it! Your support has been phenomenal, and the entire Summer of Sonic team is truly humbled and honoured that you have helped us accomplish our task. With only a few hours left to go on the Kickstarter campaign, it’s a good time to do one final pass and pledge if you are still interested in supporting the Summer of Sonic 2016. We would also strongly recommend you check the Campaign details again, as well as the FAQ – as we mentioned before, 100% of the money pledged here will be spent making Summer of Sonic 2016 the best show we can possibly make it. This is why tickets to this event are not being sold, but are instead rewards for certain pledge amounts. We will not be selling tickets to the Summer of Sonic, so your only chance to get an invitation is via this Kickstarter. Even though we’re nearing the end of this crowdfunding campaign, the excitement is only just beginning! We have already announced a number of guests, but there’s still plenty of things we haven’t shared yet, and will do over the coming weeks. You’ll love what we have planned, trust us. After the Kickstarter ends, you can continue to follow our journey at the official Summer of Sonic website – http://www.summerofsonic.com. We will also keep you up to date here as well, as best we can. It’s been a pleasure doing this with you – let’s see how far we can push this campaign in these last couple of hours!